The villages listed here are amongst the most attractive in the Vale of White Horse or they have interesting features worth visiting. Either way, a visit to them could be really worthwhile. Ashbury is a small, pretty, village at the foot of the Berkshire Downs on the B4000, the road that links Lambourn, the racehorse capital of the downs, with the Vale village of Shrivenham. The village has an attractive blend of chalk and stone cottages, many of them thatched. 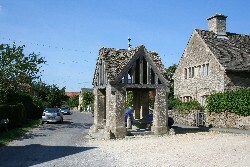 In the centre is a small triangular green with a well-kept war memorial and a thoughtfully placed seat. Ashbury is about three miles south-east of Shrivenham. To visit Baulking is like stepping back in time! All that is missing are the geese that should be on the green and the horses that should be working the fields. 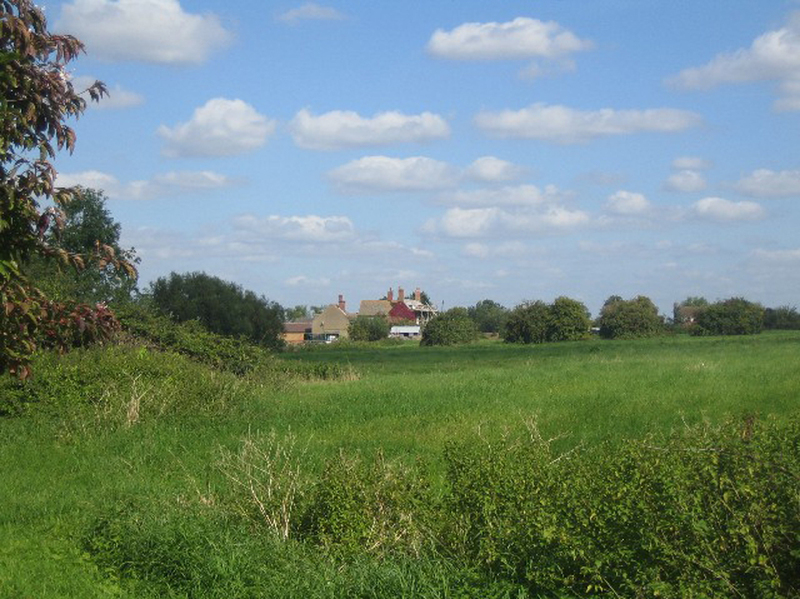 Here there are no modern houses, no modern restaurants posing as the village pub, no unsightly cars and vans, just a lovely old church, a quiet goose green, a few unpretentious cottages that at first sight appear entirely unmodernised, and several farms. Baulking is about a mile north-east of Uffington and a couple of miles south-west of Stanford in the Vale, very close to the London to Bristol main railway line. Blewbury is a large spring-line village at the foot of the Berkshire Downs. 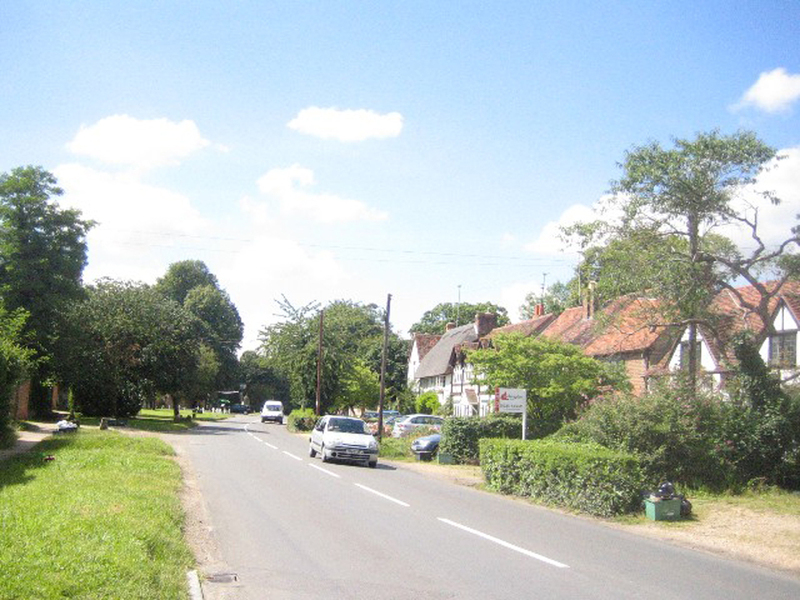 The A417 skirts along the edge of the village and has some interesting and attractive houses, a small green with the remains of the village stocks, and gives a good impression of the village. But the real attractions are away from the main road. Turn down Westbrook Street, South Street, or the attractively named Nottingham Fee and you are in a different world. There is a network of footpaths centred on the church which take you past a lake, across hidden grassed areas, through the ancient churchyard. 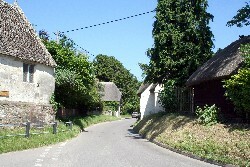 One path passes between ancient thatched cob walls which used to be common in many of the villages in this area. Blewbury is on the A417 about half way between Streatley and Harwell. Buckland is a very attractive village of pretty stone cottages, many with thatched roofs, about a mile south of the River Thames. Buckland is larger than some of the nearby villages and was built as an estate village. 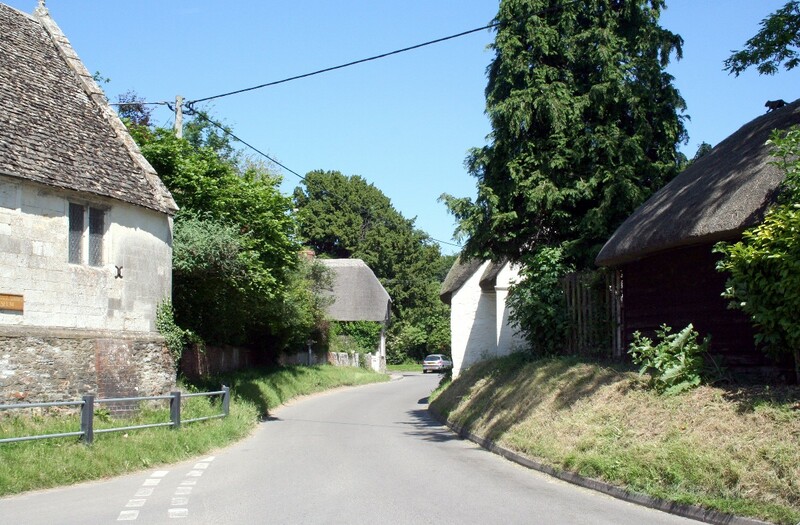 Until the late 20th century nearly all the houses and land in Buckland were in one ownership and, up to the Second World War, most people who lived in the village worked on the estate in one way or another. Stand in landscaped grounds to the west of the village is Buckland House, built in 1757 by Sir Robert Throckmorton, and clearly visble from the road. It was built in the Palladium style and has been described as the most splendid Georgian house in the country. Buckland is just off the A420 Oxford to Swindon road roughly midway between Faringdon and the village of Kingston Bagpuize. Buscot is an attractive little Thames-side village very close to the county border with Gloucestershire. Most of this tiny village is along a short cul-de-sac that leads from the ancient village hall to Buscot Lock on the River Thames. Buscot village belongs to the National Trust and is a must-see if you are visiting the nearby National Trust property at Buscot Park. Stroll through the village to Buscot lock and maybe walk along the footpath to the parish church which is about a quarter of a mile from the lock. 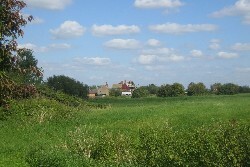 Buscot is about 1.5 miles south-east of Letchlade along the A417. Childrey is an attractive springline village nestling at the foot of the Berkshire Downs right on the edge of the Vale of White Horse. Approaching the village on a fine day from Wantage about three miles away, the setting appears perfect with the hills on one side and the Vale on the other. Wonderful! 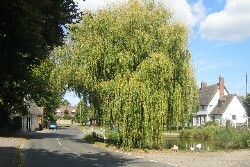 In the centre of the village is an attractive duck pond, complete with ducks and geese, attractive cottages and the village shop and pub. Goosey is a small village which consists of a few houses, cottages and farm buildings scattered around a very large green, rather like the nearby village of Baulking. Peace and solitude! Goosey is about two miles south-east of Stanford in the Vale on a minor road to the east of the A417. Great Coxwell is a small unpretentious village standing on high ground near Faringdon. 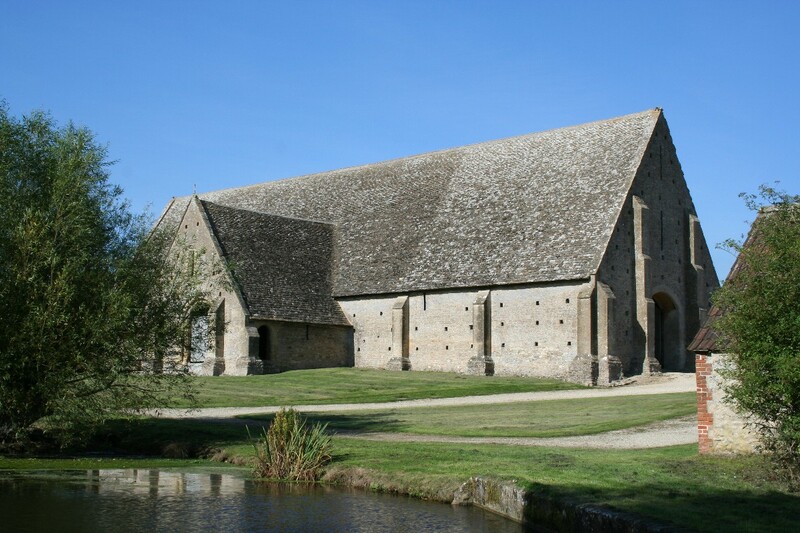 Just outside the village is the Great Coxwell Barn which was completed in the middle of the 13th century. It is said to be the finest surviving medieval barn in the country and is now owned by the National Trust. This is an impressive 152 feet long Cotswold stone barn with Cotswold stone tiles supported by oak posts which sit on top of 22 feet high stone posts. 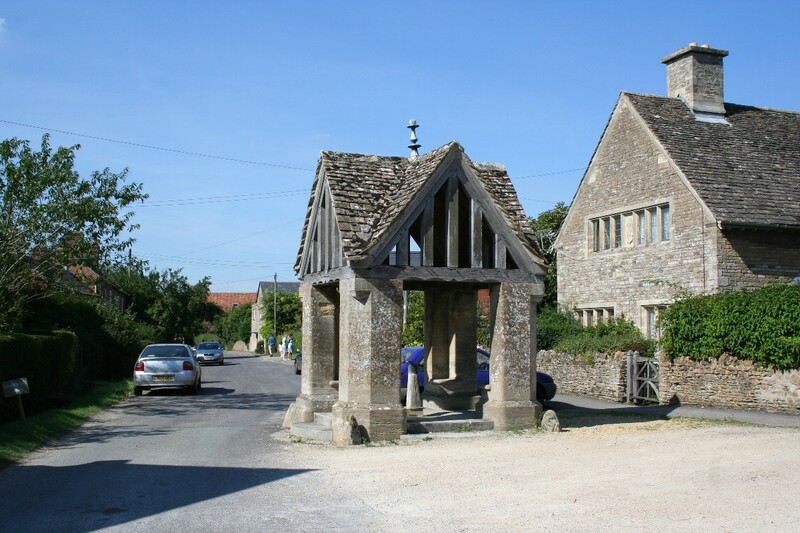 Great Coxwell is about 2 miles south-west of Faringdon, just off the A420 Oxford to Swindon road. Letcombe Bassett is a pretty little village, arranged above a steep-sided valley that is the source of the Letcombe Brook. Although not on the high downs, when approaching Letcombe Bassett from Childrey about three miles to the north,it is apparent that this is a proper downland village, unlike others nearby which follow the spring line lower down. In the springtime roadside verges in the village are pretty with snowdrops and daffodils. 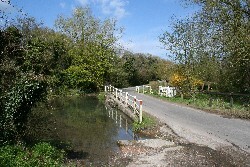 Approaching from Letcombe Regis, the road follows the route of the Letcombe Brook, but at a higher level and, as the road enters the village, it drops to cross the brook at the watercress beds where the old ford is still clearly visible. A bench has thoughtfully been provided here to enable visitors to relax and admire the peaceful scene. Watercress was once a thriving industry as local springs provide the pure water it needs for successful cultivation. Bassett Cress was sold as far away as Covent Garden. Letcombe Basset is about two miles south-west of Wantage. 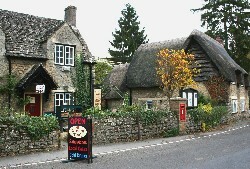 Stanford in the Vale is an attractive large village in the centre of the Vale of White Horse. 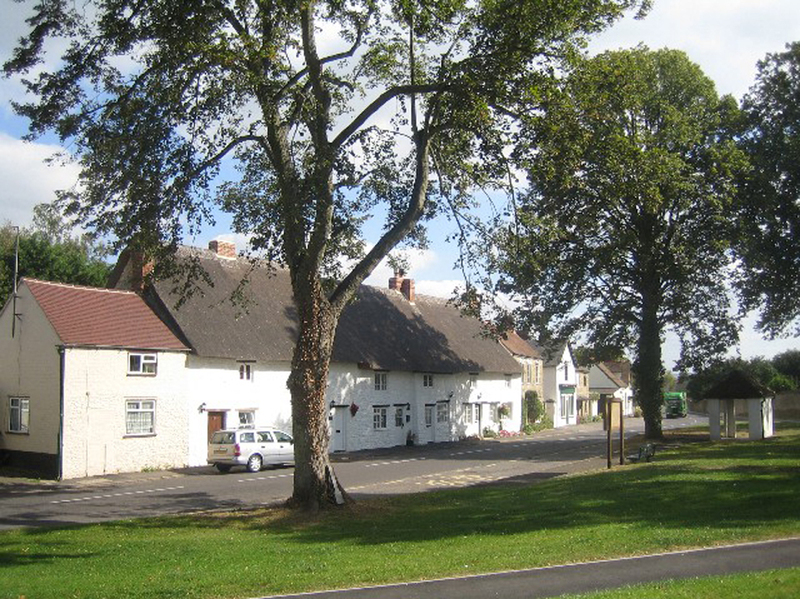 In the centre of the village is an attractive village green with the Church of St. Denys on the western edge and picturesque old cottages, the manor house and one of the village pubs on the others. Well worth a visit! Stanford in the Vale lies just off the A417 about four miles from Faringdon and six from Wantage. Sutton Courtenay is a largish straggling village on the south side of the River Thames not far from Didcot. 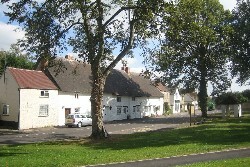 In the centre of the village is the Manor House which, together with the house now known as Norman Hall, is on the site of a former Royal palace. On the other side of the road is a building now known as 'The Abbey'. This was the Rectory House and was built in the 13th century incorporating some of an earlier dilapidated Parsonage that had been used as a Grange for Abingdon Abbey. Sutton Courtenay is about 3 miles north-east of Didcot and about half way along the B4016 between the villages of Appleford-on-Thames and Drayton. Uffington is close to the villages of Woolstone and Kingston Lisle, just south of the Berkshire Downs. Most people probably associate the name 'Uffington' with the famous White Horse which was cu t into the hillside of the Berkshire Downs above the nearby village of Woolstone 3,000 years ago. 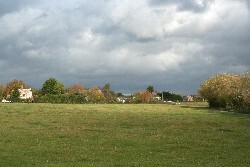 There are good views of the Downs from the village and part of the White Horse is just visible. The village is well worth a visit with many fine examples of cottages built of local chalk, many of them thatched. 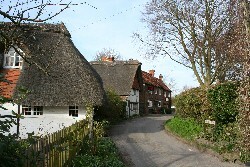 The centre of the village, near St. Mary's Church, being perhaps the prettiest part. Thomas Hughes, author of the book Tom Brown's School Days, was born at Uffington vicarage. The book, like several others written by Hughes, was based on local people and places. John Betjeman, a one-time Poet Laureate, also spent some time in the village. Uffington is about a mile and a half north of the B4507 Wantage to Ashbury road close to the villages of Woolstone and Kingston Lisle. 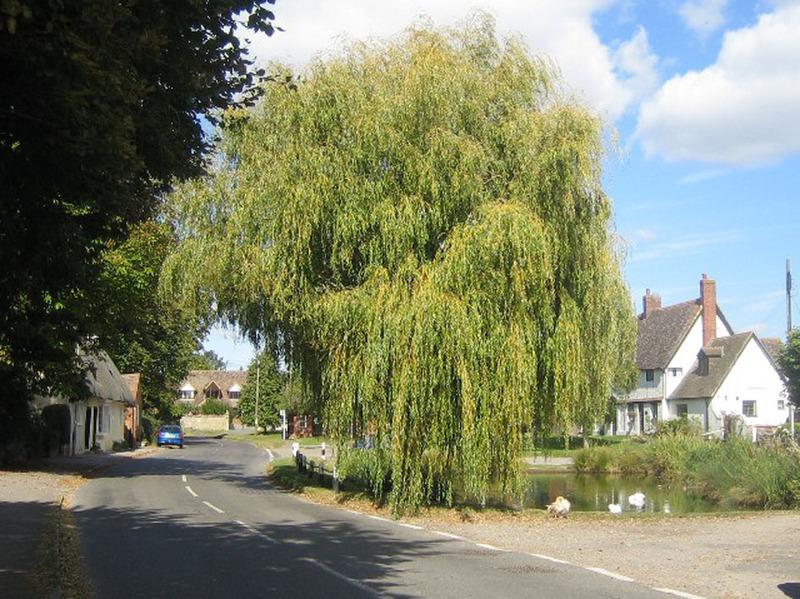 Wytham is an attractive little village just to the west of Oxford's Western Bypass Road, the A34, on the banks of the Seacourt Stream. 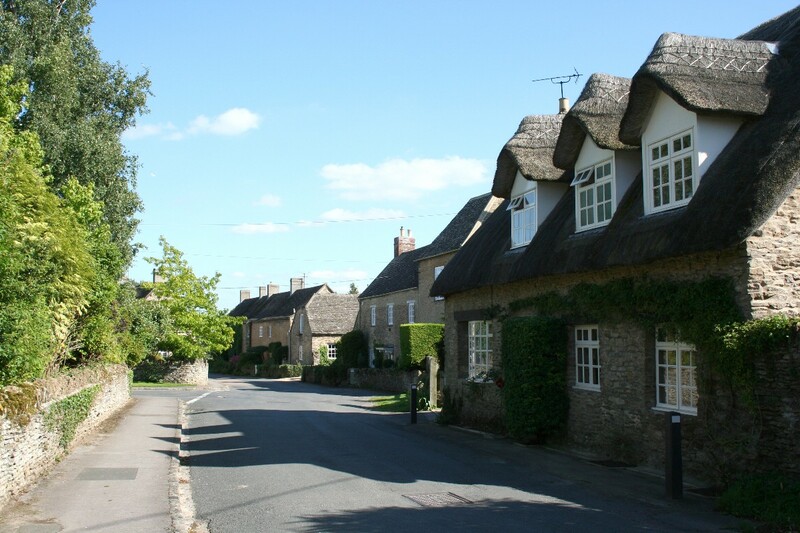 Much of the village is owned by Oxford University and is beautifully kept and no building is allowed that is not compatible with the rest of the village. On the other side of the A34 towards Wolvercote, and across the bridge over the Seacourt Stream, is the site of Godstow Nunnery on the banks of the River Thames. The nunnery is now a ruin but once there was a magnificent church, courts, cloisters and a chapter house. Close to Godstow Nunnery is Godstow Lock. 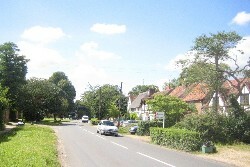 Wytham is about 3 miles north-west of Oxford, just to the west of the A34.